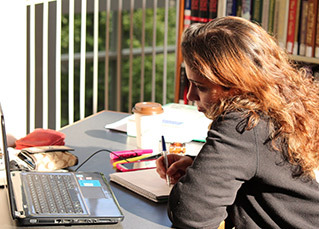 Our academic program is comprehensive, rigorous and exciting. Our curriculum and learning outcomes are designed to reflect our commitment to academic excellence. 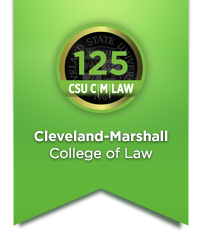 Our curriculum includes a rich menu of courses in our day and evening divisions, transactional and litigation clinics, first year and advanced legal writing courses, and externships with state and federal court judges, governmental entities, in-house counsels and non-profit organizations. You may pursue a J.D. degree, one of our five dual degrees (J.D./Masters) or an LL.M. As part of your legal education you have the opportunity to be a member of one of our three law journals, practice your oral advocacy skills in Moot Court or Trial Advocacy, specialize in one of our Concentrations, or build practical lawyering skills in our innovative Great Lakes Sports and Entertainment Law Academy. Our Academic Support Programs complement our academic program by helping you develop the skills necessary to succeed in law school. If your career goals do not include practicing law, but rather enhancing your chosen profession with a valuable body of legal knowledge, you may choose to pursue the Master of Legal Studies.